Choose from 3 boats in Italy. Bella Italia! Image yourself on a yacht charter in Italy and traveling along the Mediterranean or Adriatic coastline with views of hilltop towns from the sea. Renting a boat in Italy is an experience like no other. While on your sailing route in Italy, stop from one picturesque town to the next while enjoying exquisite cuisine, world renown wine, the exceptionally clear sea, and UNESCO historical and cultural sites dating back over thousands of years. Boat hires in Italy are the best way to explore the calm waters surrounding the peninsula. The excellent wind conditions around the main islands of Capri, Sardinia, Sicily also make Italy an ideal destination for both experienced and beginner sailors. 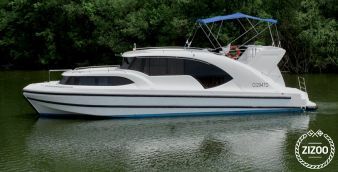 Whether you book a sailboat, charter a catamaran, rent a speedboat or rent a motorboat in Italy, Zizoo will find the right boat for you with the best price guarantee. The best way to explore the islands is to charter a yacht in Italy. The top islands in Italy are Capri, Sardina, and Sicily. Capri is a magical island where people have traveled for centuries to visit the rugged cliffs that stand tall in the Tyrrhenian Sea. Enjoy the mountaintop scenery while sipping on limoncello sourced from the islands infamous lemons, anchor your yacht charter in the Blue Grotto for a swim, or take a chairlift ride up to Monte Solaro which is Capri’s highest mountain peak. Next, sail on to Sardinia in the Mediterranean. There is over 2,000 km of coastline to discover when you rent a boat in Sardinia. Visit the untouched nature of the Asinara National Park in the north of the island or sail to Sardinia’s capital, Cagliari to visit the medieval quarter with its hilltop Castello. Lastly, charter a yacht in Sicily, the largest island in Italy and all of the Mediterranean. Begin your boat holiday in Sicily’s capital of Palermo which is rich in diverse history and ancient architecture. Next, visit the volcanic beaches of the Aeolian islands or travel to The Park of Etna to see one of Europe’s most active volcanoes. Each sailing destination offers something unique to sailors in terms of culture, landscapes and sea conditions, but the best part about chartering a yacht in Italy is that you can visit some of the most incredible destinations that can only be accessed by water. When chartering a yacht in Italy, be sure to visit the top cities of Naples, Olbia, and Portisco. 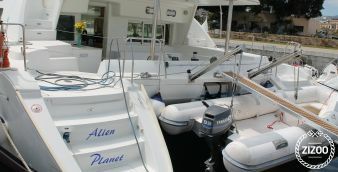 Rent a boat in Italy starting in the Bay of Naples. Anchor at one of many marinas in Naples to enjoy lunch in the birthplace of pizza and spaghetti, take a hike up the trails of at Vesuvius National Park or visit the UNESCO World Heritage Site unveiling the ancient buried city of Pompeii. 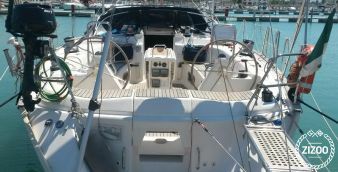 When Chartering a yacht in Italy, Olbia is a perfect place to begin your trip. Olbia has some of the best marinas in Sardinia. Before heading to the popular Costa Smeralda, check out the beautiful white beaches or visit the Archaeological Museum. Just north of Olbia is Portisco. A favorite amongst sailing enthusiasts, this seaside town is home to deep blue water, white sand beaches and a beautiful marina with over 589 moorings. 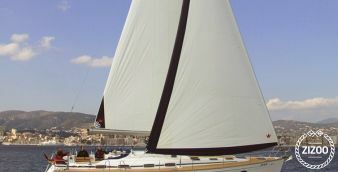 Chartering a yacht in Italy is a popular sailing holiday destination. The marina infrastructure has followed suit and is well developed to accommodate visitors. In order to reach the marinas in Italy for your boat holiday in Italy, public transport or taxi is available from neighboring airports. The major international airports in Italy are located in Rome, Palermo, Catania, Naples, Genova, and Reggio Calabria. Marina Grande, Capri - The marina is home to the fishermen of Capri and has some of the best views of the colorful villas nestled along the coastline. Also, it is just minutes away from the island’s biggest beach. Porto Cervo Marina, Sardinia - If you are looking for a luxury marina while on your yacht charter in Italy, look no further. This marina is one of the very best in all of the Mediterranean. Marina di Cala del Sole, Sicily - With over 1,500 berths, this Sicilian marina is fully equipped with all amenities and is in close proximity to beaches, historical sites and restaurants. Marina di Portofino, Liguria - The picture-perfect fishing village of Portofino is one of the most beautiful marinas in Italy. Aside from its charm, there are endless cafes, restaurants, and beautiful nearby beaches. Marina Molo Vecchio, Genoa - When chartering a yacht in Northern Italy, be sure to stop at this marina which offers fully-serviced berths, restaurants and even a ice skating rink in the winter. Whether you are looking for a romantic getaway for two or an inspiring sailing trip along the Amalfi Coast or a family adventure in Lake Como, you’ll be able to enjoy and explore the best of Italy’s beaches, historic cities, and natural wonders while on your yacht charter in Italy. 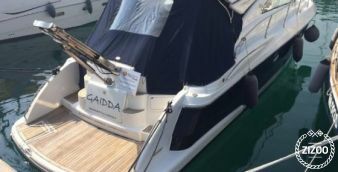 While the peak season for renting a boat in Italy is during the months of July and August, the best time to start your sailing holiday is during the quieter, yet warm and sunny summer months of May, June, September, and October. In addition to visiting UNESCO World Heritage Sites and infamous towns and villages, you'll have plenty of opportunities to tour vineyards and enjoy Italy’s culinary wonders while on your boat hire in Italy. The country also offers many opportunities for sports enthusiasts and adventure seekers. Go for a hike up to a volcano in the Aeolian Islands, snorkel through the crystal clear waters of Maddalena archipelago or catch a glimpse of Italy's underwater life in Sardinia.